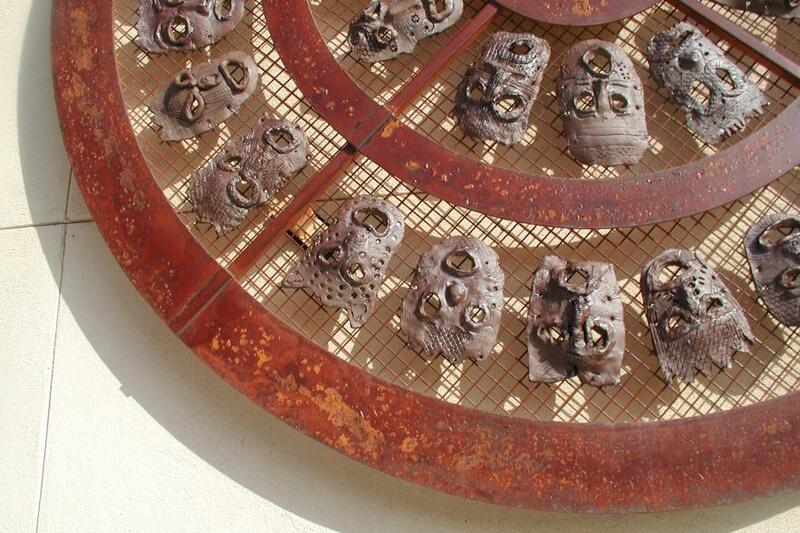 A series of African-style clay masks created by Theuerkauf students was the inspiration for this piece. Gould, Rogers and teachers from CSMA worked with the kids to create self-portraits out of high-fired clay specified for the exterior site. 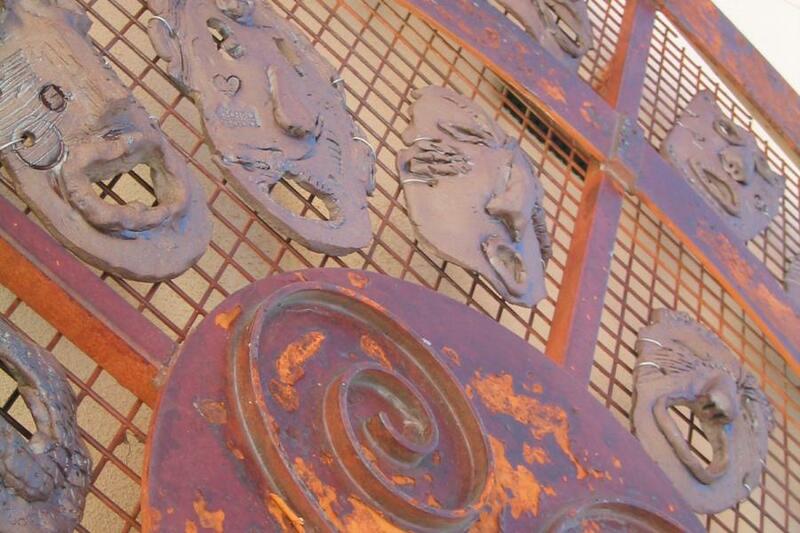 The masks, rich in texture and character, are placed in a seven-foot framework of concentric circles and expanded metal. 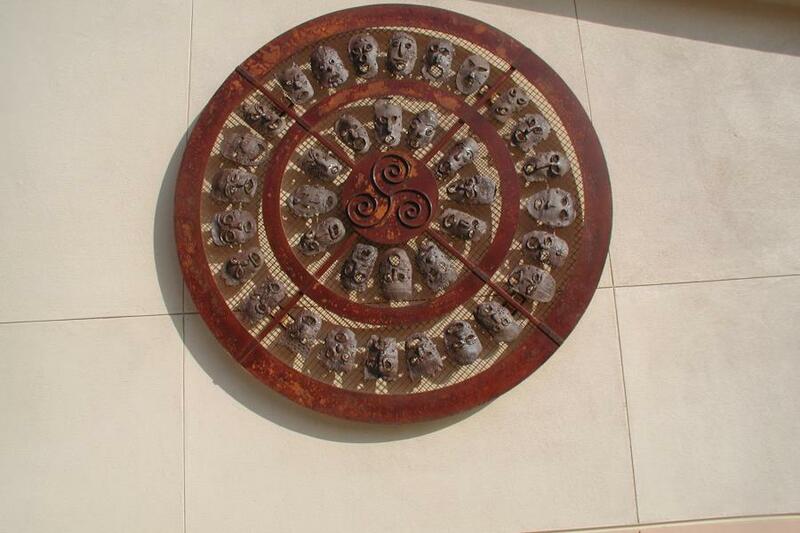 Installed at the entrance to the administration building, A Thousand Faces: Mask Mandala symbolizes the continuum of students that attend over the years.